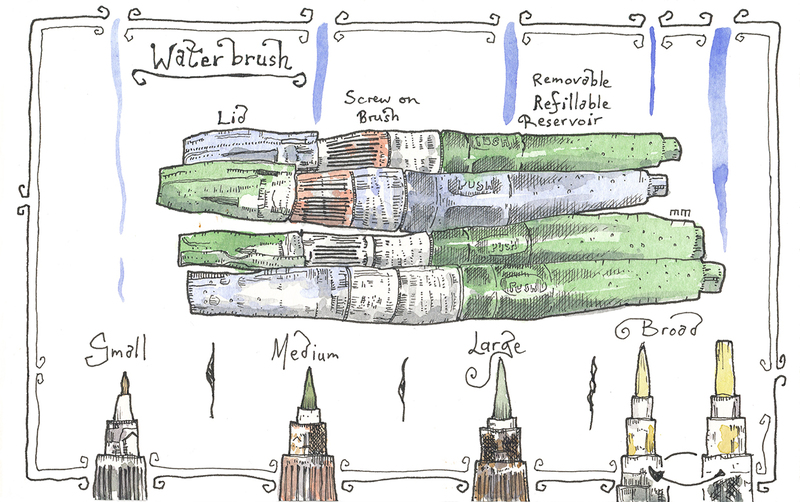 Lovely sketch of your waterbrushes. I also use Kuretake in medium size. I also like the filter as it slows down the water release and it gives me more control.But, as you say many people like to use lots of water.